You want to start a business but do not have an idea or spare money. Check out these ideas below. You can start these businesses with little or no money. These businesses can teach you all the basics of running a business – setting up a shop, basics of accounting, pricing, negotiations, marketing, and promotion. You will also get a taste of what it is like to be an entrepreneur. I always tell people to start early as an entrepreneur. If you are still young then pick one of these ideas below, based on your interest and skill set, while you are still in school and get going. Do not worry if you are not an early starter, you can start any of these businesses at any age. Pick an area you have expertise in. Personal finance, brand, marketing and get going. The idea is not to start next McKinsey or Accenture but a small business that starts with you selling your skills or you working with 1-2 employees. I started my first profit-making a business like this when I started a digital marketing consulting biz. A friend referred my name to a company that he worked with. I met the directors and after some back and forth we started with a monthly retainer. My only investments were my skills, a domain name and hosting that I used to create a website overnight. I am sharing this because this is how it happened to me but you don’t need a website to start. Are you good at dance or music? Then get some practice with a local dance/music institute and start on your own. Start with basic courses. Keep on learning and upgrade your offerings side by side. One, you can start a YouTube channel, build your audience there and announce your classes. The second option is to join a reputed institute, learn there for a while and then partner with some friends you make there to start on your own. Each partner brings 2 students each. If you are 4 partners you’ll start with 8 students in your first class. It is a good start. My favorite dancers who followed this model are Shivani Bhagwan and Chaya Kumar. Shivani and Chaya started posting dance that they choreographed on BhangraFunk (now BFunk) channel and made quite a name for themselves. They now run sold out classes in LA. They also have been on stage in big-name award shows like IIFA and have partnered with labels like Sony Music, Warner Music and brands like RedBull. A blog can be turned into a business but you need to put a lot of work and it may take longer than any other business to establish. The upside is that you don’t need to work at any specified time. You can learn to code and develop various apps or get into affiliate marketing. Another path is to start an e-commerce business. You can create your own site using Shopify. You can even use Amazon and Flipkart’s platforms to start and sell your stuff. Do thorough research before you start and see what are fast moving items on Amazon one that you can procure. And, start on your own. NIFT students Praween KR and Sindhuja K set up Young Trendz couple of years back and sold t-shirts to make Rs 20 crore in 2 years. They sold on Amazon, Flipkart and Paytm. It is simple. You go around in locality, check online and print listing for properties that are to be leased. With this info advertise in the classified section of a local newspaper or craigslist. You will also need to contact the property owner and take their consent to represent them. The simplest way to start is to hang out in local Facebook groups where people are looking to rent. Observe where there is maximum demand. Then go to that area and get in touch with landlords who have a to-let sign. Offer to get them their tenants. Now go back to the Facebook group and reply to those who are looking for a place to rent. You’ll have to go one by one and be patient but if you keep doing it for a couple of months you will have your first customers, hopefully, sooner. I rented an office on behalf of a brand I worked with. I looked through newspaper classified listings and spoke to many brokers. Finally, I found one who I decided to work with. It took him 2-3 months to close the deal but he made good money. Enough to buy a year old small car. Not bad for one deal. I guess he was also working on other deals at that time. These days global brands like ReMax are also in India – you can get in touch with them and see if they have a good proposition for those who want to start in real estate. This may be a good path if you are looking to invest money upfront and have a process driven business. If you have some writing chops then you can start as a writer/ blogger for hire. If you are confident of your writing skills this is the gig to start with. Use LinkedIn to get started. Reach out to content managers and head of marketing and offer to work for them and show your portfolio which can be a simple Google doc URL with some of your best work in there. I know writers who charge more than $1000 for one content piece of 1000-1500 words. You don’t start there. The point is to start even if it is $10 a piece as a newbie and quickly moving up the chain with increased experience and skill set. Every day 100 or more readers come to this page – looking for business building ideas and advice. (Few of) you ask in comments, many reach out to me via email. There is a problem, not many are willing to put in hard work and time needed to build a successful business. For those who are willing to put efforts – I am creating a structured program to help you get started. You can Apply to Join Here or Learn More. You can start a graphic design, web design or online marketing (offering services like social media marketing, search engine optimization, online advertising etc.). Start with one and add more services as you move ahead. For this and the content marketing biz – you can start with Upwork, Freelancer or Fiverr to get work. Once you have a steady flow of work you can pitch outside with your own brand. You can also start a service like DesignPickle that charges clients around $300-$900 a month for unlimited work. They serve clients from across the world outsourcing design to the Philippines. Last year they were on track to do $4.7 million in revenues. India is in a great place to run such a business. You can focus on doing quality and sell to international markets using LinkedIn and cold outreach. I see many companies in Ahmedabad selling to international markets and working with global brands. If you love to work out and have trained professionally this is an option for you. You can also look at new trends like Zumba. There are a lot of professionals who learned it while they were working in a job. Some of them like Shwetambari Shetty have created a big name for themselves and attracted big brands as clients. She was a banker who took a course 7 years and now has brand partnerships, her own fitness chain, and TV show and more. A lot of small businesses get their website made for cheap and then wait for their designer to update it. You may become their angel by offering website maintenance services. Offer once a month contact and take up to 20 clients. Later as your business grows and you move on to bigger things – hire an employee to take care of this part of your business. If you want to go a step further, you can specialize in a web platform. WordPress is a good platform to start. It powers more than 30% of the world’s website. WPCurve is one such service. Dan Norris the founder failed while working on a software startup. He thought of offering WordPress maintenance services and posted his offer in an online group. He got three customers who bought $29/month support services. In a couple of years, WPCurve’s became a million dollar revenue company. That’s when Godaddy bought them. Both parties did not disclose terms of the deal but I am sure it was good money that gave founders a good life. Dan now focuses on his brewery that he started. Millions of youngsters and their parents are confused about what to do next. You can research relevant career options for youngsters and what it takes to succeed in each area. Do not the promise the world. Just share what you know. It is better to see yourself as a research assistant. Ask for the interest area of the youngsters and offer options based on that. If are young then pitch this as your USP as you are well versed with the thought process and aspirations of your clients. 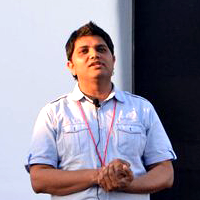 Sameer Kamath worked in technology, and management consulting for a long time. Later he started advising students who were willing to go for MBA abroad. Now his venture MBA CrystalBall. As boring as it may sound it is well paying. Check out this story to see how lucrative it can be. This story is about when Gwyneth Paltrow offered $80,000 to hire a teacher for her children. But you don’t need to be working with her to make big bucks while teaching. There are other ways to do it. Byju’s is a billion dollar company now. But like all big businesses it started from scratch. Byju’s founder started as a teacher who later started teaching online to large groups and turned it into a billion dollar company in 7 years. Key is to start where you are and aim high. If you have been working for a while then this is one option you can give a shot. You can start with free and move on to fee which can go up to $50,000 for a day. But thinking about $1500 a day is more realistic and you can aim for it right away. Talk like TED is a good book to read if you want to go this path. You can also join Toastmasters to hone these skills. Once you have some practice and a topic prepared to reach out to colleges to get some practice. Record these talks and start posting on YouTube. This is how public speakers like Priya Kumar and Vivek Bindra have built big businesses. You can choose to be a corporate event manager or specialize in managing weddings. A good starting point for this is to work with an established events company and then brand out on your own. There is another path which is more difficult than the one I shared above. You can start by hosting not for profit events like TEDx or smaller events for your community and then move on to bigger paid gigs. I was an early TEDx host in India and because of this, I had companies reach to help them professionally. I didn’t do it because I have other things on my plate but for someone who is keen on this path, it can be a good starting point. There is good scope in this space that is why this is cluttered. You need to identify unique gifts at various price points and establish this as your USP. This is a commodity-based industry and dependent on contacts. So, good if you have established connections with corporates through your family. You can also make these connections on your own but it will take time. This is seasonal biz in the beginning so I’d suggest that you prepare for the upcoming festive season. Here is a 4-step plan that you can use to get started on this one. Start with family and friends. Use Instamojo to list your product and collect payment. You can set it up in 20 minutes. Then learn to use content to market your product. I love what Zeenal Tank is doing on LinkedIn with her brand Zest Chocolates. Launch to a bigger market, and work to get your first corporate customer [1 month]. After you do this, repeat what works and get more customers. You know more about the city you live in. You have been blogging about it for years and love to go out. Create a city walk and show people who what they have been missing. At one point I worked with a person whose wife was an art historian. She used to run these custom tours of Delhi for expats, as most of her guests came via embassies I am sure she made good money doing it. These days it is even simpler to start something like these because you can use event platforms like Explara to list, promote and sell tickets for the walks you’ll organize. Pick your niche – people, fashion, or events. You need to invest in training and gear but break even should not be far away if you play your cards right. Nishant Verma is a professional photographer. He started learning photography while studying. He now works with SAIL and still pursues photography on the side. He is also the official photographer for the famous Baja Rally in Mexico. He has a B.Sc. in Zoology. I shared it because you don’t need to study arts to become a photographer. Anyone can do it. It works the same for any other profession. People across the world love chocolate and if you learn to mold it in different shapes you have a business on your hands. Search for a term like ‘chocolate making workshop’ to find a class near you. Learn and then share what you make with friends and family. Offer to make custom chocolate for the birthdays of their kids or for them to gift on special occasions and you’ll have a business on hand. Chances are you’ll first get seasonal business but once you serve a lot of people you will make a steady clientele who will give you regular business. Get creative with this one. Organize gap-year programs for students or cultural heritage tours. You can also go niche. I met Laxmi from Rajasthan while I was an adventure film festival a couple of years back. She had then started ‘Travel My Ladies’ for all the ladies who desire to travel. She turned her love for travel into a project. You can do the same. Mobile app development is booming now because the entire world is mobile. Don’t worry if you do not have a background in this area. You can always learn using a platform like Treehouse. It is like working as an assistant but online. You can offer your services in Facebook groups where entrepreneurs hang out. Those who hire a virtual assistant hire them for a set number of hours. You can offer 5, 10, 20 hours package based on how many hours you have available and people can pay you. This is quite popular in the US and gaining ground in other countries. YouTube is the world’s second largest search engine after Google. The entire world goes to YouTube to find answers to their questions and for entertainment. Do you have a skill that you can showcase on YouTube then this path is worth going? Then choose this. You may have heard about a 7-year old boy who made $22 million in a year on YouTube. Closer home you have brands Technical Guruji, Amit Bhadana who have become big in recent times. Stories like these are for real. But don’t be fooled by the promise of immediate riches. To reach this level you need effort, planning, skills, and some luck. Technical Guruji studied electronics as a student and publishes 2 videos every day. Amit Bhadana was doing voice-over spoofs become he became big on YouTube, and the 7-year boy thought an exception but has his family supporting him in a big way. YouTube values consistency a lot. So, see if you can make videos consistently at least once a week, and can do it for a long haul without disrupting whatever you are doing at present. For some of the above options, you need to train first. An online presence can help. But you need to start first before you build it up. Important: Keep These In Mind. You learn best by doing. More so in case of a business. So, pick one area where you have some expertise and start. You’ll along the way. Chances are you’ll not find success on day one. Stick with whatever you start for 6 months and see how it turns out. Don’t risk everything you have to start a business. It is tricky. Have a fallback. It is ideal if you start it on the side – while you continue doing whatever it is you are doing. I am sure you got a lot of ideas to start. If you are looking for guidance on how to start a business then I created an entire series of posts on the topic. You can check it out below. Thanks to Abhishek, Manasi, and Yukti for their ideas and feedback. If you have more ideas just share in comments and I will add it here. Feel free to ask questions in comments also. 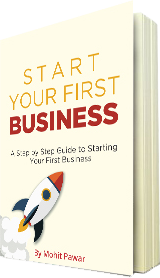 I wrote an entire book where you’ll learn how to come up with a great business idea, how to test it quickly, and how to get your business started…there are so many more options than there were just a few years ago. And perhaps most importantly I’ll show you how to make your first sale and earn money fast! 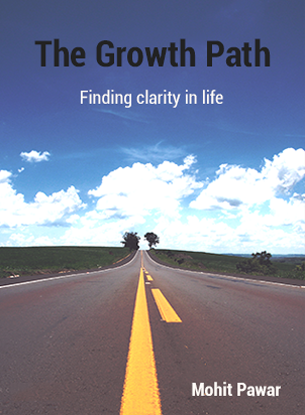 The book will show you the path and you’ll do the work. Hi Excellent work on your blog I really am interested in the content you are providing here. Thank you for making this content available. hi Mohit i need more information in real estate agency. Pls give me more suggestions. Pls help me. Pradeep, i need to understand at what stage of your business you are at. Are you already running a real estate agency or you want to start one? Any background in this business? With this info, i’ll be able to share relevant ideas. I understand you are in India. These days, Craigslist is a good place to start offering your services, if you add a pic to your listing the open rate will be more. Then there are other avenues like 99acres.com, MagicBricks.com etc. 1. Identify what part of business you want to start with – residential, commercial, rental, lease or sale/purchase. Based on my understanding of the business – residential rentals are easiest to start with. 2. Once you decide on the area, search the neighbourhood/locality you are well versed with and connect with landlords/property owners and ask them if you can help them find a tenant/buyer. 3. Now list this property on portals above and give you name/no as the contact person. Looks like you are in business. It helps if you have a website. These suggestions were really good but for the same we want to think a different view, if someone is working and want to do some aside business with spending a short time what will you suggest. Tushar, I’ll first ask the person about the skill set. If somebody is an accounts professional working in a job then the person can offer services to small business, to manage their accounts. Commit to spend 10-15 hours per week in finding, connecting and servicing these clients. What is your core skill? Once you share I’ll be able to tell better. Brother, I am totally attach with a finance (Account) related job, we can easily spend 10-15 hours in a week & totally contribute our weekends as we have 5 day working according to official schedule. My aim is that I want to spend my life with a very tight schedule, in spite of a busy schedule I want to be learning much more and no doubt earn something as well. But In my life I have a very bad point that I don’t have any professional certificate & I realize that it’s a very big negative point from which I suffer, I am working for the same meanwhile I don’t want to spoil the valuable time. 1. Decide on what service you want to offer to your clients. You need to focus as account/ finance is a vast field. 2. Think about how you plan to find customers. Through referral, existing contacts, cold call/ email. 3. Write a one page document about your business and price. 4. Get your 1st paying customer as soon as you can. A business is not a business without paying customers. 5. As this will be your 1st business, volunteer to offer your services for free in return of a testimonial or a referral if this non-paying is happy with your work. 6. Keeping moving fast till you find 7-10 paying customers. 7. Serve these customers to the best of your abilities. 8. Not core but important find a name for your business, get the cards printed and/or get a website. 9. Though it’ll not hurt but you do not need a degree to succeed or make it big in business. Wish you start soon and if you feel stuck somewhere, just connect. Thank’s for giving information but i need more information bout Event manager. @Spandana Thanks for writing. Can you write your questions reg. event manager and i’ll share more. This is Saurav Kanjilal currently running an little Educational Institute and a Cyber Cafe. Now I have started a Real estate agency business. I have a part time telecaller and a part time marketing executive. Please suggest me some ideas to run the business more smoothly. Good if you share more. Is this in a town, city – small or big? How are your currently marketing your businesses? These details will help me share relevant thoughts. Please guide me for online business. Do we need any licence for that? I am Delhi based and willing to start a business.but I have no money to invest.Is there any way to serve my purpose. Please help me! Does one of the ideas above excite you or there is something else you have in mind? Please share and I’ll be happy to guide further. Mohitji I’m really impressed after reading your business tips. Hello Mohit, i want to get more information about online buisness,what things i need to do this i have a laptop and 4g connection. I am living in KSA. can you suggest something with a investment of 75,000.I have a PC and internet connection as well ..But can’t open a office as of now …but have a place for a store room in home . Almost all the ideas in the post can be executed with what you have. You can also start a digital marketing outfit – helping companies set up and run their Facebook page and twitter account. To start – think of a name, create your own page and learn to promote it – offer same service to other small businesses. Explore http://www.tutorvista.co.in/index.php if you want to get into online tutoring. Tons of amateur photographers – put their photos online – with editing them. You can offer such photographers a service to Photoshop their images. Rs 10 – 50 per image. You can also offer monthly package of Rs 2000 for up to 100 images. Once your work load increases – and you have more work than you can handle – either hire someone to do it for you or increase prices. But first you will have to learn Photo Editing (Basics tools like Photoshop – you can learn at home or go out and learn from a professional – will take around 15-30 days). Explore and connect as you move. Can you please explain me point no. 13. Point 13. Corporate gift specialist – companies big and small – give away awards, trophies etc. during their internal celebrations/conferences and also give away gifts to clients and partners during festive season and new year celebrations etc. There are agencies/vendor who supply such gifts to companies. The person running such a business is a corporate gift specialist. Hi Mohit, this is vikas, well abovve mentioned ideas are perfect but i am not that versed at all to apply . can u suggest me something else and unique,well i have a shop in which i run business of custom tailoring, i want to expand it without any difficulty or rather start a new business. Check out http://www.englishcut.com/ for ref. and see how they are doing it. For starters we can use a mix of blogging, Facebook, putting case studies online and building brand ambassadors one by one. Will share more – as we go along. I am a 30 year old married woman. I was previously working in a pvt bank for five years but now i m on break coz i hv a six month old baby, i want to start work now but do not want to be a employee but want to start my own business with flexible timing. I am a law graduate and have done i yrs course in management.though my husband is earning good i can invest upto RS. 2 lakh due to my other loans and obligations.Pls guide me. Explore the comment that I shared above and your strength – I will suggest more. Will think through and connect. thanks give me more new ideas. I m a financial Analyst,great with numbers and background education as MBA finance, Financial Risk Mgt (GARP). Please suggest some ideas for me. Sure Jaff – will think through and share. Start a workshop for people about basics of finance. First workshop invite a group of friends and colleague – make it short and sweet, 1-2 hours. Third workshop – make it paid – create an event on ayojak.com, doattend.com or meraevents.com – I have used both Doattend and meraevents. Personally I like DoAttend. Your pick – choose whichever and launch – keep 50 days between launch and date of workshop. If you like these – move ahead and scale. Check http://www.iwillteachyoutoberich.com/home/ (By Ramit Sethi – have made big brand and business by teaching other basics and finer nuances of finance) and http://chandoo.org/wp/ (by Chandoo – solid business more than $400,000 in sales in 2011 – by teaching others to use excel – mostly online). Explore and share – what you think. Sure Jagdish, please share a little bit about your background and your goals with a business. You will not know without doing. Convince 10 of your friends or those who study with you at college to pay you in advance for custom t shirts that you will make for them. – to see what are the t-shirts style not available generally in stores or on stores like Myntra. – Then find out who makes these t-shirts, talk to 4-5 such people/companies and select one and find out a price. – Add 40% to this price and then go back to the first step – getting advance from students who study in college. This may not be the business that you will do eventually – but you will understand the basics of persuasion, market research, sales and many more. i have left a good job and want to start my own business but not getting an appropriate partner for making a pvt ltd company. Have you thought about the area/kind of business you want to get in? Pvt. Ltd. company is not a big challenge, finding an appropriate partner is – think of some friends you went to college with. Those who have the same aspirations and goals as you have. Great if your partner has a complementary skill set (for example – you may be good in developing a plan and executing and your friend/partner may be good in creating partnerships). Build a prototype of the plan that you have in mind – run it as a proprietorship firm for 3-6 months – later if the need be – create a pvt. ltd. company. If you can roll the business – with the help of employees and do not need the partner/co-founder then make one of your family members you love – mom/dad/sis/wife as the case be – give a small stake to them and create company. May be ‘m late but i think every minute is right, to take the decission. dear i’m in job working on Sr. post in a IT company for sales ,but as service is always not a sure game, i want to start my own venture…. i try for it too but whenever i take step my salary stop me to go ahead…….. as i’m a family man i’ve lot of responsibilities and have little amount in savings, it push me back …..
more so over as our sector (IT Infrastructure) is in saturation, i want to think something new innovative but related to same. i can work hard, i can face the people of all segments, but want to start a new life & money for me. I have completed my MBA in HR 2 years back, but did not do job. Now i want to start my own business with minimum investment. plz suggest some idea……….. I have served in army for 30 years. After retirement, I have worked in a P Ltd Co for 1 year as hr/Admin Manager but no appointment letter, PF,ESI offered being new one. Again I have joined a Channel Associate of Thermax in Hyderabad. Here the same problem exits ie no PF,ESI and appointment letter. I am working in the capacity of Manager. I want to start my own business with low money as I have already invested my money earned on account of pension benefits for daughter’s marriage, one son is studying in London and other one doing B.Tech in India. Please advise me. My age is 54 years. I am MA and Certificate in Business Management from Amity University. Business is a mix of skill or opportunity. A business owner sells skill as a service or after converting skill into a product – in a market where there is an opportunity. Where people are willing to buy what you have to sell. Success in business – also depends on the time horizon. Are you willing to give it a try for a week, month or year? 2-3 years is a good time horizon – if you want to make something work. So if you tell yourself that I am in it for at least 3 years – it should work. I suggest that you think about your strengths first. Read http://www.amazon.com/StrengthsFinder-2-0-Tom-Rath/dp/159562015X to explore in detail, and build on that. I am assuming that you as an ex-army man are a good strategist, and a well-organized person. This can be converted in a course – which you can list on http://skillkindle.com. This is an upcoming platform which you can use to promote your classes. You can also take guest lecture assignments at institutions in the city – where you live. This will give you market feedback. Before, you do this in front of an audience – prepare and share mock lectures with your son or a close friend – who can give you feedback and you can improve. Give yourself not more than a month to prepare. When you are 15 days into your preparation – create a profile and start emailing and calling your target audience. 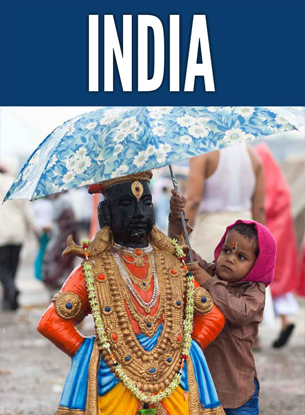 Meanwhile – you can also create a pamphlet – and distribute (around 1000 – with the help of your newspaper vendor) in your locality – and offer to teach a free class – You can do this at your home. Who is it for for? Who are you? Why should they attend – talk about benefits/ not features. 5-10 people (more if you are lucky) should turn up. Right after the class/training gets over – you can ask your students for testimonials. This can be used later on your website and in your introductory letter to institutions. If this works well – you can start a training business – around your skill-set. If you want to go up a notch – you can get certified – as a Dale Carnegie or Stephen Covey coach. Both have their local offices here. This is a 4-step program. – Find out your strengths. – Hone you skills around these strengths. – Package skills as a product. – And sell it to the market. You can lease a decent property in a good neighborhood. (You can partner with the property and share profits, in this case you will bring customers and the owner will provide property). Add 100% above your costs and promote it there. If you are physically fit – you can a start fitness bootcamp. This can be month long camp – which can be run in a near-by park after taking permission from the community. You can take the franchising route. Look up info on franchiseindia.com and see if there are any franchise on offer that fit your budget and interest. Hope this helps and feel free to ask further. Depends on time you want to invest. You can start an online service related to (gourmet) food. Look at http://www.gourmetiz.com, http://www.gojee.com/, http://lovewithfood.com/ It can be a delivery driven model or a marketplace. Curation is also a big opportunity. Pointing people to right resources. You can start a e-newsletter focused on women or students (from a group K12, college going, those pursuing professional education) and share curated deals with them. This is different from a daily deals website – where you push everything that can make you money. Think about – your audience seeing you/your newsletter – as a trusted source that they can used make purchasing decisions. You can aim at creating a simple newsletter – with 100,000 subscriber in a 12months – 15 months period. You do not need more than 100 deals to offer in a year. Look at http://dailyworth.com/dailyworth this is for financial space. You can outsource newsletter content creation and run it almost handsfree. Use a service like MailChimp.com which can manage subscribers – it is free for up to 2000 subscribers. You only investment will be in design/development and your time (~10 hours a week, 5 hrs on weekends + 5 hrs weekdays). You husband can start the same for training industry. Only start one at a time. Once this gets in the groove – one of you can leave your job and focus full-time on this. First time I came across this Blog…. I am also thinking and working on starting business. Need your guidance into the legal procedures. I made license for “SHOP ACT” as i would like to start it at my home.Now I want to goa head for making current account in bank but lot many questions from Bank for which I do not have answers. Please guide how to go next about these legal things. Are you opening a proprietorship firm? In that case – go with a public sector bank. They are quite prompt these days. You just need standard inputs. with these go to the bank and fill their standard form and you should be ready in no time. Try this – go to a newly opened branch and things may get easier for you. Anyways I approached to Axis bank who needs address proof for my business. CA can help me to provide same. Lets see how it moves further. About suggested website its very nice to know and certainly will help me for legal formalities. I have query about tax & invoicing of the goods or service which we are going to sell. It will start with cross state trading only and will not target beyond national borders. So how to start up with. What I need to apply for CST or GST no ? Is there any other tax or legal formalities for such business case. Sir i have seen your 17 business ideas but i m very confused to what to do. I m from Varanasi. Please guide me. Im also very weak financially. If you are short on money then get in a job first – earn some money and do a business on side. For your business idea – pick where you have any 2 of following 3. – Experience in same area. – Skills in the area in which you want to start the business. m a 19 year old student in delhi…. i have been following and reading what you are writing, you just brought back hope in me and m so motivated. i m curently working with a charitable organisation as a faclilitator where we are working with small scale vulnarable farmers. is it possible tht you can connect me how to make money online?? i feel what im getting is not sufficient and would want to make more money.please contact me on this email siankwilimba.doris@yahoo.com. M 19 yrs clg student, m in b.com second yr i wanna start my own business plz help me in setting up my business i have no money and idea to invest i have heard many ideas of starting business but they all were confusing and were craps plz help me…. Please write me an about online business in details and simply. Anyways – irrespective of this – a business – whether online or offline is driven by transaction. In this transaction value is exchanged – business owner sells something which a customer values and pays for. The price that customer pays should be more than what it took to produce the product or service. You need customers – in online world that is a part of traffic to a website or a place where you sell your services. To build traffic you need expertise in services you plan to sell or good quality products that you want to sell. Read through – and if it makes sense or if it doesn’t – come back and ask. Mohit sir, i am a graduate electrical engineer what business can i do with min investment. We two friends are doing marketing of static and dynamic websites in our small city. We can make websites what other services can we provide to our customers, which are mainly small business owners and schools of our city. Please must reply. The business you have started – making websites – is a good one. I guess you are young. In your early 20s? – Do not get it into too many things too soon. Stick to what you are doing for a while. For example, now you have started making websites. Be at it for at least 12 months – 18 months. – You said you are doing it with a friend. Put things on paper. Who will do what – who owns what. If – God forbid – something goes wrong, choose friendship over money or business. – Learn to sell. That is one of the most important skills that you can develop. It will help you in whatever business you get in. – Fill your own website – with good content. – Every day write to 2 new people – 5 if you are ambitious. Send them a mail with tips to improve their website. If they write back – offer to do it for them. [How will you find these people, just look at business directories – that list businesses]. Create an email – that talks about benefits of having a presence on web. This is 2013 and people need not be told – that their business should have functional, content driven websites. But still many businesses do not understand it. Good for people like. Teach them and help them. And those who need professional help, offer your services and make money. – Know that everyone you pitch to will not buy and that is OK. Do not loose heart. Keep at it, and stay in touch. Do not be pushy, spammy – just stay in touch. – Get testimonials with photos from clients – who you have done work for. Put it on your website. Tell them that it will bring them visibility. If you do not have testimonials – offer free services in exchange of testimonials. – Learn to get paid upfront. – Deliver on your promises. – Do awesome work – and make the client feel – that they are getting more than what they paid for. – Learn to cold call. – Optimize your website for search – someone who comes to your website via search is making a choice and reading what you have to say. Someone who sees and online ad – is interrupted to see your message. Not that ads do not work but search is better. – Not less important. Be good to yourself – do not be too hard on yourself and BE GOOD TO OTHERS. Help when you can – and give back when you can. – Aim for the sky and do not forget where you started. – Manage social media accounts for these clients. – You can rename for sms marketing services as mobile marketing solutions. My self Jayaram Singh. Currently working in a reputed company as an engineer. My intention is to start a hotel / medical business with some handsome amount (50-1 Lakh) in Bangalore. Please suggest me how can i improve my earnings. i really want to start a business but have no any idea which type of business with lowest cost can i do. plz help me . my education is M.Sc. (organic chemistry). and want to start business with chemical or similar suitable. Services/consulting businesses can be started with low cost. Start there and then move into product space. both in different space but with great potential. I m a newly qualified chartered accountant and i want to be an entrepreneur. I am thinking to start a online business. Pls suggest me what kind of business should i start? and that too with a initial capital of Rs. 1 lac. I tried to become a financial adviser for shares and stocks, but my whole capital vanished up due to huge loss. I dont want to do job. then it makes sense to play it safe for now. and also for lack of knowledge of the space the business is in. I suggest getting in a field, you know about. and giving yourself time to succeed. You are young – so think 2-3 years horizon to get a solid start. For 1st year – you should think of it as your source of bread and butter. Keep expenses minimum, work out of your (parents’) home. And do not make running a business – an excuse for not working enough. Start a small branded website like – simplyaccounts.com (have just made this name up)/ any name that you like and the domain is available. Get cards printed, meet people, ask for business. If you do 15-25 small assignments in a year, you can your 2-3 steady clients in second year. By the end of 2nd year – you can hope to make amount similar to what you will make in a job. Add ideas, create plans/prototype and share – I will be happy to share more. I want to ask you something more. I am very much interested in online promotion of products (like in my case – accounting’s website if I make a website like simplyaccounts.com). I just wish to know how to do this?…I dont have any knowledge of online promotion. But it clicks in my mind when I see some ad in google or any website. What is the cost for such kind of things? Please explain me in detail if possible as i m new to this scenario. then go for a website without bells and whistles. and promote it using personal contacts. Facebook advertising may work at a lower amount. In your case LinkedIn promotions can work – but i have no experience using them – so can’t recommend. Try it if you are ready to experiment and spend some money doing it. What better you can do is – write resource articles. and post it on your website/blog. This way you will expose yourself to people who are looking to find professionals like you. you searched for something and then you found it. It may take you some time to be able to reach people like this. I have been writing here for more than 7 years now. Not that it will take you 7 years but it will take time. you will have to go out and tell people about what you do. and offer them your services. so along with being a CA – you will have to become a sales person. but you will share whenever you meet anyone – who can benefit from your services. And come back if you get stuck. I am a student n interested in business but don’t know what to do…. can u please suggest dat what should i do…..
Not sure about your background. Assuming that you are a technology student. Try to solve a problem that you face using technology. Ashish Chowdhry, a young student from Ahmedabad, faced challenges during his management exams preparation and created CATapp.in. Look around and see what is the challenge students are facing and create a businesses around that. You can teach a speed reading class in school/campus for starters. This can be a good start for your to learn and build. Drew Houston – faced this problem of forgetting his USB drive. To solve this problem he started building something for himself – which was better than existing solution. This thing became https://www.dropbox.com/ which is now a company worth many billions. It was only in 2007 that the company was incorporated. Drew was in his mid twenties then. do not go for fancy. – and think about making money early doing it. spend a lot of time reading, in company of smart people, less on internet, more in the world. Go and start. More questions? feel free to ask here. I am Nitin Sharma. I am really impressed by your responsiveness. You give advice to everyone. You are so much attentive to every query. Great job done!!!! Mohit i am working with a company and on 1st of june i will complete my 1 year with the job. I am a hotel management graduate. Worked 4 months with Radisson corporate, now working with a wellness company. Actually from the start only i wanted to do my own business because if i can give lakhs of business to my company – i can create business for my own company also and i am confident about that. So please give me a suggestion what should i start?? My interest is food and beverages and sales, meeting with people, PR, Making business but don’t have much capital so please suggest me a business which can start in Rs.1 lakh. Thanks Nitin for your kind words. and there are these boutique properties that do not have local offices. and get paid for business you generate. This is low risk and low investment opportunity. there are courses where you can learn this. Once your training is over – you start offering your service to individuals first. During first 6 months – 1 year offer a low cost solution as you will not be the top of your game and still be learning. Your first 5-10 clients can be your friends – treat them as clients and work in return of testimonials/recommendations. Then move to high paying executives and enterprise (corporate) clients with better prices. There are ways to spend money. but i say only a simple website is enough – nothing more is required. You can make a similar start in most of the industries that you have mentioned. Pick one and get started. You can do a lot. Depends on what interests you. What business/field you are keen on? Are you in a job? Please share and I will write more. City walk is a good business for those who love and know the city that they live in. As a city walk creator and guide – you take city dwellers and tourists (national/international) for interesting walks through monuments/places worth visiting. This is more intimate than normal tours conducted by a tour operator that tries to cover an entire city within a day (mostly by a bus). A city walk usually covers only a small part of a big city, and is done on foot. I suggest you do this if you are really interested in learning more about the city or already know more than others about it. Good thing is that it can be done while you work in a job – early mornings/late evenings. If I were you – I will take a month to understand the area where I want to organize city walks. Read, learn more about people, cultural hot-spots and food of that locality. Then I will invite a group of friends for this surprise walk. This will be your first city walk. Build testimonials based on feedback of your friends – and use it for your promotional email or website. Pitch as a business to the professional/personal networks of these friends. Do your first paid activity. Wanna ask u that if u can suggest me an online business like real estate or in other field then plz write here something for me. Currently I m a house wife, but i want to earn some extra money. You can start cooking classes. You can become an online tutor or write for business websites. Will suggest more based on that. I am going to start a real estate site & a classified site, as i am seeing a good scope in that. could you mentor me on this ?? Are you starting this as a hobby project or want to make money doing it? If you are doing as a hobby – then go ahead and it. As a business – you need to figure how you will make money? Advertising is a poor way of making money so you will have to think of more ways like sponsorship. Even for getting sponsors you need base traffic. I will say around 3000 visitors a day. charge for listing and give free web presence to all. you will be set. Not as easy at it sounds, but workable if you hustle. Do it for all reasons – but also think a little ahead while doing it. Share more – what you have mind and we can discuss further. I am working now in an educational institution as a corporate relationship manager. My previous job was as an ad marketing executive in newspaper industry. So I have a strong database. I am mba in marketing. Now i want to start my own business. may not have enough cash. how can i start my own business. I want to start event management business, is it right for me? Corporate relationship means you get students placed in companies, through the relationships you build? through them you can connect with Learning and Development team and pitch for your services. same thing what you are doing in your job – but now you will do it for yourself. Colleges in tier 2 cities should be big buyers of this solutions, you will know better. Event management is a tricky business – one you should get in, if you have some experience doing it. Hi i am Jaideep. Kindly guide about a new business with one lac. I am Vriti from Amritsar. I am married and working with Educomp Solutions from last 3 n half years. But now i would like to start my own business. Can i go for wedding planner?? as it was my dream business i want to do it. but i know it really need guidance as well as good team too. Can you please suggest me that how can i start?? Wedding Planning is a good choice. There are two ways to go about it – all in or slow and steady. If you want to stick to your job for a while – then slow and steady will work. Just volunteer to be the wedding planner for a wedding in family and go about doing everything as a professional (paid) wedding planner will do. Use few pics and feedback from this experience – while pitching for new business. If you are able to do a good job – who knows, you may get your first paid client from here. Initially – you can just plan the flow of event and fix meetings with vendors and do on-venue management. See that everything is in place for engagement, wedding, reception and smaller functions in between. Later as you gain experience, you can add more services – like planning honeymoon details and local travel and stay for important guests. To market your services – you can create fix fee packages. Go to http://www.theknot.com/ and good local ones – and note down what options you can offer to your potential clients. For your understanding – think how you will a plan a wedding with a fix budget. Your next important step will be to create a list of possible vendors, and organize meetings with them. To get started – on weekends talk to family and friends – and ask who they used for one of recent weddings and how was their experience. From here you will get your first set of vendors. To get prospect list – you can contact local venues – because once a marriage is fixed – a family books the venue first. Now pitch these prospects with your services – rinse and repeat. so do it – if you want to be in it for long haul. I want to start a business but i have not got a lot of money hardly i can spend one lakh rupees so do you have any idea in which field i should invest it..
All ideas that I have shared above – can be started in less than the amount you have specified. This is Nadeem, a Mechanical Engineer working in Auto service field. I want to start a small Automobile Quick Service Workshop in Chennai City for multi brand cars. Can you please give your valuable guidance, like, how to do, whether it would be profitable or not etc. Automobile segment is a fast growing one – means more and more cars are being manufactured and people are buying them everyday. That is the good part. It is not an organized segment, still people get their car serviced at their favorite mechanic’s shop. Still the audience in 25-40 are open to go to branded outlets. I am sure there are already many upstart trying to fill the space that you are thinking of getting in. You are working in this industry – so you will have more insights which is good. Is there any pain points of customers which you have sensed and you want to offer a solution to this as your USP? A simple way to understand whether it will run it or not – is to survey people. Go to people in the 5km radius of where you want to operate this and ask about their willingness to use your shop/service once you open, tell them benefits and price points also. You can also do it where you live, on weekends. This will give you a fair idea about the viability. Not everyone will come once you launch – but many who you surveyed and said yes – will come. If the interest is enough – you can tie up with a local existing shop – forge a partnership to brand and market it. This will get you started with less risk. Once you get a hang – working on the ground, launch a 100% owned operation. I want to start a small business, so plz suggest me which business is suitable for me. I have completed B.Tech in 2012 with electronics branch. Anand, Have you thought about what field you want to start? What are you doing right now? What interests you? Hi Mohit, I need more information in Search Engine Optimization. Please give me more suggestions. Pls help me. Not sure of your background. before you can offer your services to other. Also working in a similar role for 6 months to 1 year will help before you start on your own. I’m a computer engineer. I have some banking experience but the problem is I’m looking for a job in software field but still i’m not getting it so thinking to try new business… what should i do ..my interest is in land dealing. Land dealing is a resource intensive and tricky business. Gain experience with someone who is this business (preferably in a job) and then decide on getting in. If you are very keen then you can start with niche rentals. Lease an apartment, get it ready – and offer to rent it on marketplaces like Craigslist and Airbnb. Once you gain some expertise – move in to land. Thanks a lot for your reply. My id is mohitnkm@gmail.com, hope you help me more. 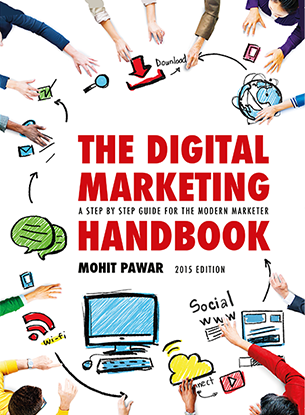 Sure feel free to reach out – here or at http://mohitpawar.com/contact/ if you get stuck. Good luck. I have no education. I have no money. but I have confidence, but I have no idea & how to start business. pls tell me how to start a business. I can understand it’s not easy to start business. but I m ready to do lots of work any time any day. I have 5 lacs to invest.. what kind of business is more profitable suggest some good one .. I am new in any kind of business..
Start a service based business first. It takes less money and can help generate profits quickly. I want start a new business but i have no ideas please give some ideas.. my budget 5 lac. Stay tuned. 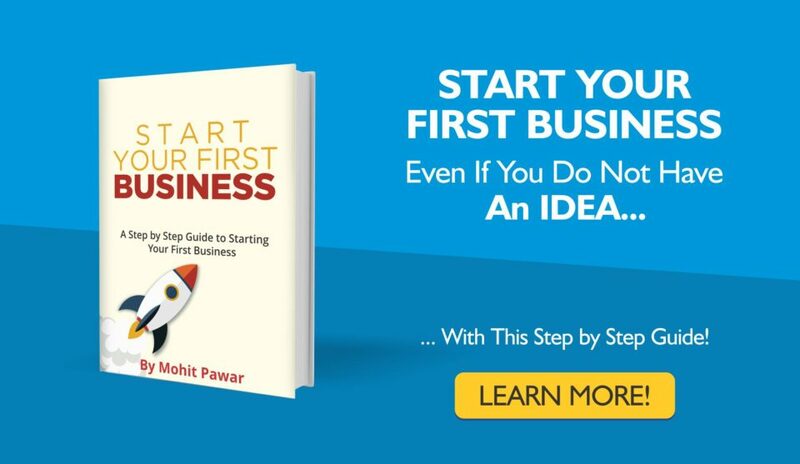 I will be writing a series of posts on “starting up” next month here (on mohitpawar.com) – There i will share thoughts about what you have asked for and more. Hi Mohit I m Hotelier working as Reservation Manager, i want to do something my businesses with the small investment, please advise. I am forty three years old and lost the job few years back. so without loosing the hope i want to start afresh with a business. I have worked as Human Resource Executive. But I am more creative in nature. I like painting, films, photography, flowers decoration and therefore want to get into it. You can start as a photographer. It only takes a camera and your imagination. You can do a small course to brush up your skills. Once you get going, sky is the limit. I am 20 yrs old and a student of physiotherapy. I want start some business with least capital.I have not much idea in this field. Could you please give me some good business ideas related to my field or any good ideas which can give me a good start. A service based business can be started quickly. You are young and inexperienced so work first with someone who is an expert, not too long but at least for 3-6 months. Then, you can team up with a friend of yours from college and partner with existing clinics. Ask more if you find this relevant. Hi sir, I am Praveen. u have given nice tips sir. I have one question sir, I am having a managing skills and talents, is this enough and possible to start a business…………………………. 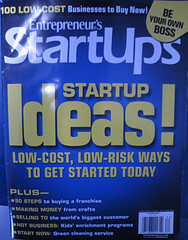 Hi liked your blog on business start ups. Would be interested to know more. I wrote a series of 21 articles on this. Have come across your posts and am really impressed by it. I am 47 and was a working professional for the last 20 years and am currently unemployed am looking into getting into business but am not sure how to go about. My biggest asset is that I am very creative, hardworking, full of confidence. I am into handicrafts and make a lot of handmade items which I sell through word of mouth, but I hardly earn Rs 4000/- per month which is really killing as it’s too little to sustain in this competitive world. Can you please guide me how I can take my handicraft business further and reach out to many people and really make a good earning..please help and advise me…. I’m working in industry as a CNC programmer. I want growth in my work so please help me. – Learn something that is valued by your industry. A good way to think about what skills are valued is to think about your boss or her boss and see what skill she has. Try and acquire those skills. I do not know much about your industry but see if a training in CAD/CAM will help you. – If you believe that you have skills that will be valued by other companies then change your job. Use common sense and take this step if the demand is more than supply or if you are so good that you are in a unique position to charge. – Move to a new country where earning for a similar profession is more. Do what works for you. Your mileage may vary. thanks for the tips u giving to everyone and i too like it and appreciate it. i also have a question for you about myself, i am good in nothing but hard working to make future good and some how i am unable to continue my graduate studies. i cannot look back to continue it again coz i am now of 28 years but i am good in English and i am working in international call center and i don’t want to do it for life time coz no one can continue night job either. so if u can give me advice what shall i do now in my life to balance the things and every thing to make me happy and my family happy. i will be thankful to u if u will share some information ..
You can start an outsourced customer support solution for local small e-commerce websites, or you can offer your service as Virtual Assistant (http://en.wikipedia.org/wiki/Virtual_assistant). Both can be done from a small room in your home. Once your business grows you can move out to an office of your own. Excellent advise and it has given me an insight about how to go about doing a business. Happy that you found value. thanks for sharing your ideas with us but now i’m in confusion. i’m doing a business from past 10 years. it’s a water well construction job. in this past year I don’t know why I am not able to save money. and in my business the workers are not stable and the salary they are asking is not according to my earning from my work, and i’m raising loan amount. Now I think I can’t continue like this and my financial condition is not good. i don’t know how I can start new business and what should I do. please suggest me. In your situation diversification looks like a better solution. You can lease your machines to other business owners in your line of work. You can also think about other related businesses where margins are high and try and get into those businesses. I am Mumbai based and willing to start a business. I can Invest 2 – 5 Lacs and I am interested in an online business like Flipkart and Zovi. Can u tell me the step by step process for it? Please help me! This is a tough space to get into. 1 and 2 – can be done without spending any money. For 3 and 4 also, invest is minimal. You will need a little money for inventory and lot of courage, patience and hustling for 5. You can start quickly with eCommerce with sites like shopify.com or zepo.in – depending on the market you wish to sell to. Starting a business is the first step. Before you do it – ask yourself am I in it for long haul? Do not do it because it is fancy. Also do not take a lazy approach in deciding which business to do. Ask yourself the field you the best and start in that field or a related one. I have knowledge about passive network, cctv installation and problem shooting, I can invest 1 lakh to store the stock. Sir please help me how i should start business in this field. Start with survey of local market. Visit as many shops, small offices you can in a week. Ask them if they have cctv installed already, if they have offer affordable maintenance. If they do not have it – offer to install. Do a little bit of research comparing your costs with competition. If you can’t offer less price (which is ok) – offer personalized and prompt service. I am working with commercial vehicle sales as a sales manager but I want to start own business in very less money. Please give me advice, how to start. You can start a commercial vehicle maintenance franchise. Start by serving small fleet owners. You can check these for seeing what is available internationally and replicate it locally. You can also source accessories from a market like China (see Alibaba.com and GlobalSources.com) and create a brand to sell it. It can be a GPS device or an even simpler component. Other option – can be to get into training drivers of commercial vehicle. You can create a module and sell it to large fleet owners. You may have to get a little training yourself first. Start small and move from there. I completed MBA finance, 30 year old female, i worked as an accountant in a private firm, but now no job, no money for investment, but i want to start a business pls help me. Go to a website like elance and start picking small projects. Do not try it for a day or a week and get disheartened – not to try again. Keep at it. Start with one hour every day just replying to assignments. Once you start getting assignments – invest 2-3 hours per day to work on them and 1 hour to get new assignments. Take weekends off. Read through comments above and check out this post I wrote elsewhere – http://www.mclass.co/list-of-business-ideas/. Hi mohit…I am ajit arora from new delhi…I want to start new business in delhi…I have approx 10 lakhs in my hand…can u help me out what I do….I was thinking about travels business….wat u say bro…? Any business is good if you are familiar with the field. If you have some insights about travel then it is a good business. Go for it. I can offer more suggestions – if you share your experience and what do you want to get out of the business (money, opportunity to travel, more control and free time, you want an office or want to work from home etc) and how much work you are willing to put in. Options will change based on your preferences. Greetings Mohit. I have made a website for my dad. But till date no business. Help will be appreciated. I want to rent a shop in sonari Jamshedpur lower middle income group. There’s a hotel around but I am a hotel mgmt diploma holder and the landlord is the owner of the hotel veg one. I have taken agency of ticketing licence of iTz cash ia on the way. Dad forcing me to stay here n do business. Kindly help. I am confused n lil cash inhand. Awaiting for ur reply. Are you talking about GTCS website? But here website does not look like the problem. You need to focus on sales. Sales cures everything which a website cannot – unless you are really proficient in promoting a website. Guess your father offers training. You can create a training presentation and go to companies in your region to sell the services you offer. Meetings will organized by taking care of basics like making a list of prospects, calling / emailing them and then fixing the appointment. The second part of your question is not entirely clear. Based on what I understand, I suggest that you look at your circumstances. If you are the only one to take care of your parents then stay with them and build your business locally. Else move on and do whatever you wish to do and do it with total heart. About your travel agency – you can put aside 2 hours every day to meet the people in 3-5km radius of where you live / work and tell them about your service. Give them an inaugural offer to use your service. Always take upfront payment. Offer best value to your customers and you should be set earlier than you expect. I want to start a business, I’m confused what type of business is suitable for me; because I do not have a lot of money to invest…… please suggest Sir. I completed my Graphic & Web design course from a reputed Institute in 2009, also currently doing SY Bcom from Pune University as a external candidate. Now i am working as a Graphic designer in an MNC. I want to start a business in graphic web field. Please give me suggestions. Thanks! Create a profile on elance / odesk and pitch for projects that are listed there. Start with small projects and as you become better at work, pitch for bigger projects. Great stuff, I just started my own tennis consultant business and needed to hear this. My funds are low, but I should be okay, thanks. Myself and my friend we would like to start a small hotel at coimbatore. I don’t see that you have mentioned about a hotel. But do you have any ideas regarding this? Please do let me know. Also we would like to open a small internet cafe with 4-5 systems. We would like to know how much it will cost us (approx)? Please let me know with your suggestions. Both cyber cafe and hotel are different. For a hotel you need more money and manpower. There are also more government regulations to be followed. You can reduce the property cost by renting instead of buying but other expenses will be same. If you or your co-founders have some experience in this field only then go for this. For cyber cafe – you need computers, printer / scanner and a good internet connection and a place (that you can rent). Do basic research to make sure that this service is needed where you are opening it. This is great article and I can say good job man. I am really thankful to you. I am a 24 year old. I am a Software Developer, working in a small company. I want to start a small online business as you mention as an option. 1) How it can be beneficial for me? 3) In future, will there be scope for this kind of website? Online business can be really powerful (and beneficial) but it is not easier as compared to a regular business. So first understand that it will take time (18 months minimum) and efforts (minimum – 10 hours a week – given that you do everything on your own initially). If you are ready for that let us move forward. Please keep in mind that you are not creating a website – but you are creating a website to build a business, and business needs to make money. So how will you make money from a website focused on entertainment? As far as I know, an entertainment focused website needs a lot of visitors before it can make money. The cost of creating a website is no more than a domain, server to host the website and a CMS. If you use WordPress as a CMS (it is free and good enough) then you need not spend more than USD 100 in an year. This is the cost of building but you need to put efforts / money in promotion. I have no experience so far of running an entertainment based website so I can only estimate how much money you will need to promote. My estimate is USD 500 minimum. Based on this – to create a website – you will need less than your budgeted amount. For promotion, you will need more. It’s really inspiring the way you are helping the budding or existing entrepreneurs.. I am working as a teacher in a mgmt institute for last 5 years. Students appreciate the way i teach. Also I am into Personality Development for mgmt graduates. I promote them always to start some venture instead vegetatively looking for jobs after their course. At the back of mind i do have the same thought. I want to start a small scale industry employing the disadvantaged group but not being able to get any substantial guidance. Kindly guide. Looking forward for the reply soon. Being specific helps. You need to decide the field you want to start your business in. The purpose of a business / industry is create something that people value, sell and make profits. If in this process, you can help others that’s great. You want to employ the disadvantaged group. By disadvantaged do you mean, differently able or underprivileged? Based on the industry or two – that you prefer, I can share more. You look like a person who has experience in business in general. I am an entrepreneur myself and have been into several businesses in the last 4 years unofficially but this is my first official business (going via all legal paperwork and licences). Have been looking for a like minded person to talk to or discuss the concept or even join the start up. Sure share your thoughts here or via email. I am Ketan, i finished master of social work course, n also completed PGDCA computer course. Now I want to start a small business. please suggest me what to do. I live in Mumbai and i want to start a business with less investment and good amount of profit. Which business should i start? I have read the tips that you have given. I am a home maker, i have two kids. I was working in a publishing company 4 years back. Right now i am not working. I want to increase my financial status and don’t want to waste my education. I have completed my MBA. Can you give me some tips to start a business or making money by working at home without any investment or investing little money. What kind of business is suitable for me? I have manage both my kids and business. One of my kids is 3yrs old and another is 9 months. I am from Delhi, I am working for a company where I am heading Sales & marketing. By gods grace I am good in what I am delivering for my company. I would like to start my own business while I continue my service for my company as well. I get confused what should i start with, there are few options that I have thought about if you can help me. 4) Any home based work. I want to know about online business. Hey Mohit n everybody here.. I want to start a hotel business.. need everyone’s advice please.. as I’m new n with less money how do i start it.. help me in this.. or you can advice me for any other business.. thank you. I am based in Mumbai and into online education business for more than 5 years and have developed online coaching program for IIT Entrance. Besides this, I also have started mobile app for entrance coaching which will be helpful for students preparing for entrance from Class VIII onwards. I look for a person who is interested in education sector and join me as partner as I find it difficult to look into every aspect like marketing, content etc. Through your site, I seek some help. I will look around and see if I can find right person to join you. I have gone through with all above suggestions which you have given to all. Seriously, it is a nice effort to encourage and help all of them above mentioned. Please suggest if we can do something more apart from Facebook and twitter account because I have researched on this ….. & I found most of the companies (Mainly renowned as well as small companies) have their employee working in Communication & Promotion department generally update all current, past events photographs, details and offers on Facebook and Twitter account. I am looking for more scope on this topic, if possible. Also, I want to do some business related to Students as why I need your input and thoughts dear because I stay in Patna and in my localities and also in this city, its a hub of Students, Coaching Institutes, Schools……. Means, this city is mainly knows for Doctors, Medicals, Educational Institutions …. In Hindi, People call this city as “Shehar of Shiksha and Chiktsa”. Dear, I want to do some business apart from a Teaching Professional or Opening a coaching Institute, because there are numerous institutes in the city and their mentors and founder, chairpersons are mostly IITians, IIM pass outs who run those institutes (mainly preparing for IIT, Medical, CAT, MAT, Civil Services). So, my planning is to how I can transform or attract the students studying or preparing OR the mentors who run those institutes. I have limited assets and investment… but bunch of friends who are Accountant, C.A., Teachers. As far as my experiences are concerned……I worked for International Call Centers in New Delhi & NCR (Gurgaon & Noida) as a Client Support Executive for 8 years, however, due to some family problem I quit my job and running 2-3 businesses, such as opened a Books & Stationary Shop, renting car, taxi on hire basis and last but not the least mushroom plantation at my home city. Whilst, putting my efforts in above mentioned businesses…. I am not happy or you can say self satisfied with my work. I am a married person, staying with my Mom, Dad, Wife and a daughter….. My younger brother is a Technical Support Engineer working with Adobe Systems…..If possible, I can take technical help from my younger brother as well. I would request you to please suggest me at the earliest……. I will explore and write. Save money (6-12 months of your expenses). Pick an idea based on your experience and interest and start small. Scale based on your success. If not successful – change path. Give it a good shot for 6-12 months before calling quits. 2. then I thought of doing MBA to pursue my goal of starting a successful event management firm,but I dunno if its worth doin MBA in event management. Please guide me as in what I should do.and if at all I should join some firm then which firm will be trust worthy. Leaving a job to start a business (when you are not sure about what you are getting into) is never a good idea. Anyways, what has been done – can’t be changed. 1. Event management is a tough business from what I know. You need to search and find a company that you feel comfortable with – it may take effort and time. 2. MBA is not needed to start a business. You do not know how event management industry works. You may eventually not like it – so no point in limiting yourself by doing an MBA in event management. I don’t have in-depth understanding of the industry to guide you which firm is good or bad – you will have to take a call based on your own understanding. Thanks so much Mohit for your valuable reply. Can you tel me if the institute is good(its official site said its ASIA’s best event management institute) and if it’ll be a good start to join it. I have heard about it but I can’t comment on how good it is. My understanding is that Mumbai is their flagship campus. You can visit them and see for yourself. Talk to students who are already studying there and decide. I understand that both programs they offer are conducted in the evening, so you can take up a job during the day and do it in evening. Hopefully the program will get you an entry in the industry and you can experience it first hand and decide next step. thanks so much for all ur help mohit.I am really grateful. :)N Ill defintly talk to some alumni of that institute and take my next step. I wanted to start a hand made (carved) furniture marketing business (I wont be making furniture). So far i managed to contact people who make them. I intend to market for them for a commission. Could you please advice? I also have a property that is vacant but i don’t have any kind of investment to start business there could you please advice to what i can do about it? I want to start my own business but i m totally confused what i do. I m working as web developer. If possible could you suggest me. I am a final year from DU. I want to start a business in computer sector but i m very confused that from where i should start and what course i should do to start a business in computer field. i want to do something very fast in this sector so please guide me that now what i should to do next. I want to be a professional speaker and motivator, please tell me how can i start and what steps i will have to take? I want to start an online content writing company. Please let me know the procedure of starting the same in India? This is simple. Like any business transaction you need two parties – one who sells and other who buys. In this case you are the seller. You need to find the buyers. Your buyers will normally be other businesses. There are 3-4 channels that you can use to find buyers. 1. Write to everyone in your network. A simple email to introduce your content writing business and offer to give them a great discount if they decide to hire you. Also ask your contacts to recommend you to their network. 2. Do same exercise with your Facebook contacts. 3. Optimize your LinkedIn profile to be found – when someone searches for a content writer. Also do outreach – that’s a faster way to get new business (clients) search for content manager, digital marketing manager. These are profiles who hire content managers. Let them know about your offer and ask them for work. You may not get immediate work – but stay in touch and you’ll get it eventually. 4. Register on Elance, Upwork (earlier known as oDesk) and register as a freelancer. With these tactics you should get your first customer soon after starting. I want to start wholesale business of cosmetics products. Please suggest me how to do it and how much money to invest, on buying the brands or how can i get an Agency agreement of some brands to represent and where to buy the goods and where the market is located. What is the future of it and what is success ratio of going with wholesale of branded products. How much time is required to be successful in this business. I want to start a content business (handwritten assignment) for the college students and also the handmade greetings and handicraft things. Can u please help me to get some more in formation regarding that. Content business (handwritten assignment) for the college students – looks good. Are you a college student? Then sell it to your fellow students. If not get in touch with students where you live and offer them this option. Start with a low price and increase it as you gradually get new business. Later on – you can get the pamphlets printed and distribute them outside a college one at a time. Pay someone a small amount to do it for you. I am from Surat, Gujarat. I an doing wholesale and retail trading of garments as Surat is a biggest hub for garment. I want to start my own boutique and I am designing all my clothes and people love them. But the problem is that may be my parents don’t have trust that I can run a boutique. They want me to get married in max 2 years… and their apprehension is – what if after marriage my in-laws don’t accept this then what? So tell me what can I do….i want to start up a boutique and how much investment needed for it except the shop…because I have a big bungalow and I can use one of its room as my location for startup. I have completed my MBA 8 months ago. I need to know how to develop the business. I am assuming you have already started it. Please post your queries here and I’ll write. I am trying to start a business. I am a mechanical engineer. Please advice. I really want to start a business but have no any idea which type of business with low cost can I do. Plz help me. Riyan, please pick any one from the ideas shared above. I am interested in online business especially in email marketing. So can u please tell me the information about email marketing. First you need to learn how email marketing is done. I am assuming that you know it – if you don’t then you can get trained. My company – http://mclass.co/ teaches professional on digital marketing / email marketing. Or you can learn from any other credible company. Once you learn – you need to pitch your services to your potential customers. Your customers will be other businesses. You’ll need to reach out to them. I am Divya…BE graduate..I want to start a business related to Electrical/Metallurgy field. Can you please guide me How to do it.. I don’t have expertize in Electrical/Metallurgy field. So I can’t guide you. However a business follows same process irrespective of the industry. Generate Idea –> Build (offer) Service /Product –> Get Customers. PS: If you share your specific idea about your chosen business – I can think and guide you – right now your question is too broad. I am Aman, currently living in Delhi. I have 6 years of experience in repairs of electronic, computer, telecom products or thing which relates to any kind of electronics PCBA repairing or even mobile phones,motherboard, lcd, led, switches, routers, ip phones . I am opening my mind for something new now. some of my friends and colleagues suggested me to do my own business but i don’t know where to start. Please guide me further. I am in textile weaving field – terry towel industry. Want to do something my own. Have weaving and designing knowledge. Can I work from home? Please suggest me. This is Hardik from Surat, Gujarat. I had completed physiotherapy with specialization in spine problems in 2007. Since 2007 i am running my private clinic over here. Now I want to establish the chain of clinics with latest technologies, dealing with quick and guaranteed pain relief. I have a unique business plan and i need some investors who can invest in my idea for future growth. I am not getting how to get investors. Let me know if you can do something good for us. My name is preeti, i am 24yrs old, b.tech graduate i want to start my own clothing line, my own brand of fashion. I want to redefine the term fashion for people. My project report, business report everything is ready and it is good to go i wanna start it but i don’t have any financial support with me if somebody can sponsor my business that would be a great help bcz i tried contacting many banks for loan but no one is responding. I know once it will start it will come up with a huge profit. If i get the financial support from somewhere my work can touch the sky. Please do suggest me something. If u can guide me here what to do how to start it would be of great help. I don’t have anybody other than you who can guide me about how to proceed in right way. Looking at your available resources and aim, there could be two way outs to establish your clothing brand. 1. Look for shelf space with major fashion retail establishments like Shoppers Stop, Lifestyle etc.. in your own brand name. For this you need to workout on your manufacturing capacity. Else you can tie up with smaller ones too. 2. Go for online tie ups with e commerce websites like flipkart, yep me, Jabong and so on, again in your own brand. For both the options you have to build a strong and consistent production capacity. Will not suggest you to go for a stand alone unit as in taking up a shop on rental basis in some mall as it would demand lot of time and money. You will end paying salaries and rentals as an additional cost. Instead go for tie ups as per your location and production capacity. Additionally, create a Facebook page and develop your brand on it. I love travel and I want to build my career in travel. Please share options and help me. I came across this blog and very happy to read the ideas and help you do. I am from finance background and want to start my stocks related business. Do you have any suggestions for me? I am software engineer, mostly in web applications. What can i start? Start with building small web applications for others. This will help you earn you a decent income on side. If you are not sure how to get clients then start with marketplaces like Elance, Upwork (earlier known as oDesk). Pitch for projects there and build your portfolio. Once you have done 10 projects, increase your rates. Aim to make an amount – equal to what you earn in a job – in next 18 months. Do not leave your job still. While you earn this side income – explore areas where you want to build a web app. At some point – build a small version of a web app and launch. Before you build the web app – you need to think who will buy it. You can offer you app – based on Software as a Service (SaaS) model. Initially you’ll need to sell it 1-on-1. PS: What are the webapps that you’ve built at work? Hi Mohit… This is binu here. I am working as a Finance specialist in a MNC. last 10 years i am working with various organisations. I think its high time for me to think about some business. i do nt have much financial support so would like to start something side. So i need someone to guide to find whats right for me. I am interested in apparel business. would you please help me to give some ideas please….it would be a great help for me… Really ! I am an infrastructure specialists and specilised in application and Middleware support.I am looking for providing my services to the business or small industries.I do not have much marketing ideas. I am currently working with Rating agency in Mumbai and planning to open up a side business with couple of friends. We are planning to deal in leather bags, shoes, apparels and also some personalised gifts, can you please suggest us ideas on how to start with it and is it possible to deal without registration or licence for VAT/CST since we would not be dealing at large scale. I have a space about 800 sq. feet in industrial estate in Mumbai on 3rd floor, i want to start a business from that place , but i don’t know what i can start , kindly guide .. Please share more about your background – education and/or work experience. I’ll then be able to share better. Hello. Im good at shopping and dressing people. If I wanted to start a side business doing that, how would I get this out to people to get business? Do I need a license to do this? Start with those you know. Tell them that you are starting this new Styling Service and would like them to be your first customers (without payment). Also tell them – that you will make them look better and in return they will help you by getting the word out and referring new customers. start a blog (use WordPress.com) and add these pictures and testimonials there. Connect with those who know you on Facebook and tell them about your biz. Share link to your blog so that they can see your work and tell them that you have a limited time launch offer (discounted price) and you’ll to make them look better and be your early customer. Use Instamojo to collect payments. Start a Facebook Page and showcase your work there. Also invest in improving your blog that you started earlier and continue to grow. You do not need a license and you can run it as an individual. I am Ganesh Shinde I am working as vba Professional i want to start my own vba supporting firm so can u give me idea so, that will help me…. Hi MP, I am a bcom graduate and currently studying MBA.I got married recently and live in a small town.I want to work from home and earn some money.I jus hate to sit idle…can u pls advice me about how to start. I am a 30 year old married woman. I was previously working in a company for seven years but now i m on break coz of my health, i want to start work now but do not want to be a employee but want to start my own business with flexible timing. Pls help me or guide me, Also my Husband will join me. I am going to start classes in mumbai, can you suggest me some ideas for advertisement.. I mean i have basic idea like pamphlets,hoarding etc but still want some to attract more people/Student. I have gone through your blog and it is really good.I am a software engineer.I want to earn extra income.You have mentioned “Web Maintenance Business” in your blog.Could you please let me know how can i start Web Maintenance Business and from where i can search this type of Job. I am 21 yr girl, working in Travel Field, apart from this I want to proceed to become AN Entreprenuer. I am thinking to start a businesss on small scale regarding accessories and corporate/educational stationary. As soon as i am comfortable doing this i want to take this on e-commerce site as a seller, so my question is, that Is this a good Idea ? later my future goal is to make my own site, so plz help. I am house wife and graduate. I want to make money by cooking plz help me how to start. Not sure what kind of cooking you know. Anyways, the simplest way to start making money will be to offer home made food for delivery at door step. Ask friends and family members to connect you with those who would interested in what you have to offer. Start with 1 customer. That’s good enough. Add 1 more next week, and add 1 more + 1 + 1 – soon you’ll have 10 customers (in about 2 months). If your food is good – your customers will refer customers. try out apps like OrderZapp / Swiggy. How you make your food. how your friends and family are liking it – ask them to review / write about it. do paid promotions to grow your community and sales locally. On Facebook you can choose and say while running ads that you only want fans from Mumbai and surrounding areas. Use homemade food as an advantage and not as a disadvantage. Create a story around it – and how it is made with love and cooked slowly and not in a rush. See how paperboat has created a story around its brand. There are networks where you can invite others to cook and eat with you, mostly foreigners. Thanks for supporting us MP. Glad that you are getting value, Sheetal. Myself Ramya…I am working in private sector but my interest is to start my own business but i don’t have much knowledge about it.so, i am thinking to won a franchise where business modules are already established and being used…But i am confused to select the domain i need to select for metropolitan city like bangalore…Please suggest me area that i can take with investment cost ranging from 10-30 lakhs …. To identify the area/industry – you need to understand the trends. Some of the big trends you will notice in any metro like Bangalore are heath/fitness, wellness, mobile phones/gadgets/ eating out/ entertainment etc. * Wellness/fitness because people are stressed, have sedentary life styles and have disposable income – so they go to gyms, spas. Brands like Anytime Fitness are franchise driven and are in expansion mode. * Grooming – Javid Habib’s express is something that I have seen works and can be established at around 15-20 lakh (my guess). * Food – because people eat out often. Fine dining is tough to break even on but QSR (quick service restaurants) can drive customers quickly and turn a profit – there are many existing brands (Subway etc) and new ones entering the country – who offer franchise. * Automobile – also is exciting – a brand like Enfield will be a good bet at this – though invest may be more than 30 lakh. * Tech – Mobile Phones – you can explore this area as well – as this will only grow for years to come. I’d say without going into a partnership first – keep aside some time (1-2 months) + money for your research. Make a list of industries and franchise that you are interested in – put about 30-60 names on this list. Every weekend – go out, visit these outlets in areas (or similar areas) where you plan to start. Note down – how well each of these are doing. If owners are available ask them or ask employee for daily sales and profitability. Don’t be too formal about it – be friendly. Share that you are thinking of getting in this biz and would appreciate their guidance / advice. Review your notes and see what is profitable and excites you; and go ahead. I am very confused to start a new business ? I am ready to do hardwork, and earn more but I don’t have ideas ? Ideas are tough to come if you do not take time to think. Every day keep 10 minutes to think about ideas. Look around, ask people and you will find ideas. Try to observe what problems people face – and there you have ideas. Nuclear families worries about security of their homes while they are away – idea for a home security products business. People not able to give enough time to their children – idea for a one-stop career guidance + coaching business. You see people who are stressed – idea for a meditation centre… starting with meditation classes at their home or even better on their mobile phone. This list can go on. Invest time everyday to think about what problems people are facing – and if a lot of people are facing same problem/challenge – there will be an idea for a business. Business = you/a brand selling a product/service as solution to people’s problem – where the cost of producing that product/service is less than the price it is being sold. Think about it – what is a restaurant. It is solution to people problem of boredom, regular food, lack of a place to socialize etc. The cost of food at restaurant is a lot less than the price restaurant charges its customers. But people happily pay it for tasty food, and more so because it takes people away from boredom. Hey! I want to become a motivational speaker and of course I can… But I have no idea how to start! Could you please help me..? I am suryajeet … worked 10 year in Saudi Arabia as a truck driver.. now i am here in INDIA. I want to start a small business… can’t understand what to do . I am from village and don’t have enough money to spend .. I do have a laptop and internet connection…. please tell me what to do ???????????????????? I am krupa shah. Your post is really inspiring. I was working in software company as a front end developer. I have total 3.5 years of experience in this field. I want to do some business now and not to become an employee. Now what kind of business shall i start. My husband is also from the same field. Hello , i just read your blog as well as comments . both are beautiful . after reading all this i also have some problems in my own business . i opened Gym with partnership before 2 months. we are not making any profit right now . but i wanted to start something too from which i can make some good money i am from surat , gujarat . i don’t have much investment right now to invest . can you suggest me some idea of business which i can start without disturbing my gym business ? Hi Mohit…I am Irfan looking for a business under 1lakh in delhi. Currently i am working in a BPO as Backend executive in noida and feded up with my 8 years old job. It is basically a computer related job. Its been more than a year i am searching google for a safe and secure business but still not get. Could you please find an idea or business for me to starts with. I m 17 years old and i have just completed my 12 class with 91% marks in commerce field but i wanted to do business so instead of going to du or other big colleges or doing those big courses i tried to get in this line as early as possible so i took admission in a small and in a not much proper college near my house so i can give more time to business but my parents are in service and my maternal side family is in business in bhiwadi so i wanted to do business and learn new things side by side completing my bcom but i m confused and on the same hand want to do something different but profitable and that which can increase in the near future but being a child i m not aure what to do can u plzz help me or give me some tips for that as what type of business i can do i do have manu ideas myself but those are very much bigger and require much resources and money and experience to start. Can u help me and suggest me few that can be done by me in alwar city or bhiwadi city. Basically I am based on Chennai, looking for some better business opportunities. After 9 years of work experience in Construction Field and last few months of unemployment, took away most of my savings. Now looking very confused and stressed. Searching for a business opportunity, but unable to find one. Could you please help me ? Hi Mohit sir, I have vacant new place ( shop). I can invest up to 7 lakh. With no experience. What will be the best business for me that u suggest. 3 floor shops and five floor offices.mine is on 1 at floor. Hi Sir. Can you guide about how to start a hand made soap business from home…ie with the cosmetics licenses etc required? Hi sir, I want to start small business with low investment, what type of business would be suitable for me, please suggest me. Hi Manthan, check out all the ideas that I shared above and in the comments and write back if you have questions. Hii mohit sir, i am designer in footwear industry and i have 6 working days in a week but i also want to do some other work for extra income so what can i do and i m living very far away from my hometown. Please give me some suggestions. Hi Kunal, reach out to all small/big fashion designers and offer to create footwear designs for them that they can use to launch their footwear design range. Ask here if you want to do it and have more questions. Dear Mr. Mohit i love travel and i have an experience of 6 years in Travel Industry, I have a passion of Traveling and let others to know, i want to know what kind of business with less investment but effective can we start. Also there are big leaders already in the Market not only India but in the whole World who provide all the facilities. So what we can start with a unique selling product to attract the customers and to make decent profits as well. if there are big leaders in the market that does not mean new entrant can’t enter that market. Also when you are small you need not worry about big leaders – but think about getting your first customer. There are different ways to go about starting a business with the background you have shared. You can reach out to people you have worked in the past and offer to plan their trip from suggesting options based on their budget and time, to building itinerary, booking travel and stay – you can also act as a guide if you have been to the chosen place earlier. Go from one customer to another and build a business. You can also host cultural tours to places of historic importance, and eventually sell this service to large businesses. Ultimately, it will come down to starting with one services and taking it to potential customers, getting your first customer, offering your services in a way that you will make profit, getting paid. Do it again and again until you find your sweet spot with service you’ll offer and get a good number of customers. Stick to your job while you build – use your holidays to test it out and go from there. I want to sell my whole setup of departmental store. Actually, this is a franchise of UsDollarStore. It’s a really lucrative business. I have started it with whatever I had in my hand. But due to lack of business experience and lack of working capital, I am unable to conduct it further and debtors are behind me for repayment. So, I have no other option than to sell it. Could you please help me out to find a good customer? Hi Chandrashekhar, sad that it is not working out for you. I won’t be able to find you a customer. Anyways I leaving your comment up if some of the readers want to get in touch with you. I want to start a small school to offer affordable education to parents who otherwise have to pay 70000 for first and second grade kids. I dnt have much to invest and will take a loan to sustain. I wanted to know if I can start a school in a bunglow with 4-5 rooms an offer classes till 4th grade to begin with. I can then start higher grades too for kids who pass the lower ones. Hi Sanket, sure you can start a school the way you have shared. Good luck! I like making sketches and paintings, kindly suggest something I can do with it. I am not sure of the quality of work you do, and at what stage in life you are. If you are good at it I am sure you’ll find people who will be willing to pay for it. – work on becoming good at it – see if you need to learn more (before you can make money out of it). Check out Skillshare for inexpensive courses. – all this while see how other success amateur artists are running their art businesses. Cake business is good. I’m doing it for a while and also I arrange Cake making sessions where I teach other ladies and young girls to make cake at home and also earn. Ankita, I am glad you’ve found success doing what you love. Sure Suman. Please your work background, and what skills you have. Then only I can share relevant ideas. Your blog is great inspiration for people who wants to start their own business. I help women to start their own clothing label while they continue in their full time Job. this will help them to make some extra Money every month. I will help them to design, manufacture, branding, packaging and marketing of the products. With “ZERO” experience any one can start Clothing Business. I am in the process of re-building my website and online presence. I will be happy if you can do a Guest Blogging on the Topic ” How to Start a Clothing Line of Business with No Experience” . Pls let me know your thoughts. Thanks. You said you don’t have any skills. Is it true? Think again. Because you are working in a restaurant and the owner won’t pay you if you did not have any skills. I guess your point is that you want to gain new skills that will allow you to grow and possibly start a business. What skills do you need to run a business – sales, marketing, basic finance, persuasion, and negotiation? I’ll try to break it down for you. # Get good at reaching out to people. Like you posted this comment. # Go to LinkedIn and see who are the people who are doing the kind of work you want to do. # Ask them for any work. Tell them your present truth and that you want to be like them. # Offer to work for free for them and tell them that you are happy to work for an hour every day for them – they can give you any work. Out of 100 people, you reach out to 1, 2 or 3 may offer you something. Take it. Do that work really well. # Then after a month or two ask them for paid work. # While you do it – invest 1 hour every day to get good at one of these things – making videos and editing them, graphic design, sales; you can start with anything else that excites you. Use YouTube videos to learn. Every day write 1-2 sentences or more about whatever you learned that day. # Do it for six months to one year. You’ll grow tremendously and be in a better position to start a business if you still want to. I am here to answer any other questions you have.